High Quality Content by WIKIPEDIA articles The Dom is a mountain in the Pennine Alps above Saas Fee in the canton of Valais. With its 4,545m (14,911ft) summit it is the third highest peak in the Alps and the second highest in Switzerland. 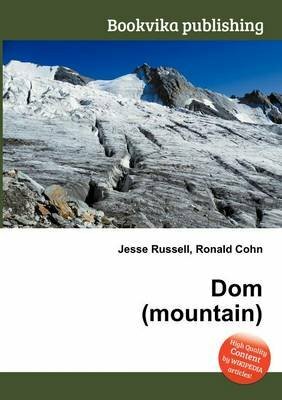 The Dom is the summit of the Mischabel range, the highest massif lying entirely in Switzerland.